Pregnancy is a beautiful time for any woman, barring all the morning sickness, water retention, mood swings of course But you know what? There are ways to ease the uneasy experiences by just tuning your mind and body towards the right direction, and there’s no better way to do it than yoga! Having written a book on pregnancy yoga, you will be in safe and nurturing hands with Seema Sondhi at The Yoga Studio. They usually have a packed class, but they do give individual attention to all the mommy’s to be. They charge INR 750 per session. Sivananda school of yoga has a very relatable take on pre-natal yoga. They believe in focusing on opening the body to let energy flow freely, which helps to nurture the growing baby. They offer private classes for INR 1,500. Classes are designed for women at any stage of pregnancy, at The Yoga Guru. 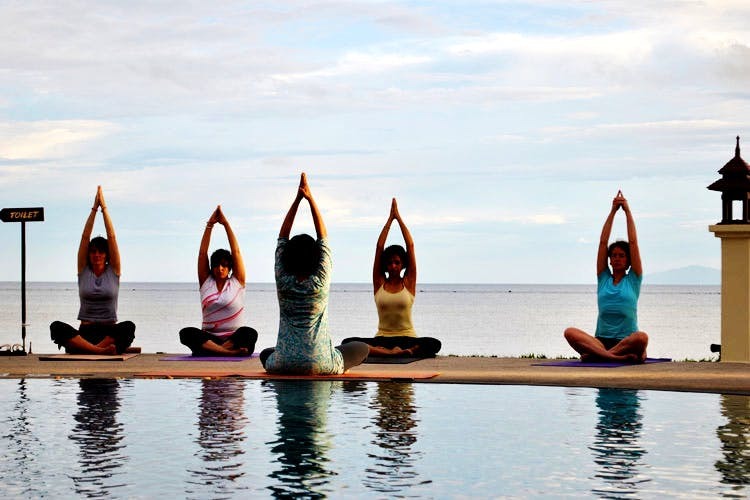 They focus on yoga postures, stretches, meditation and different breathing techniques. Neha Vasisht, the founder, conducts these classes herself. The Yoga Guru works from Delhi and Noida and mostly conducts classes and programmes at renowned hospitals around the city. These guys operate from Gurgaon, Faridabad, Noida and Delhi. They even offer personalised classes at home and group classes. The classes are conducted by Dr. Kedar Nath, an expert in this field, and they offer various yoga techniques to ease the discomfort during child birth. Fitnesolution offers pre–natal yoga with a personal trainer, in Delhi. They offer some gentle poses and postures and focus on breathing and meditation. Based out of GK 2, they’re very approachable. Call them for more information.